The RSS is riding high on the success of a Muslim student in Assam's high school examination, but supporting the Hindutva agenda may not resonate with a large number of Muslims. On June 1, newspapers in Assam flashed the results of the high school leaving certificate (HSLC) examination, for which nearly four lakh students appeared. But in some of the headlines one striking fact stood out. A Muslim student of the Sankardev Shishu Niketan school topped the rankings, scoring 590 out of a total of 600 marks. The school is part of a chain run by Vidya Bharati, the educational wing of the Rashtriya Swayamsevak Sangh (RSS). Founded in 1977 in the wake of the triumphant emergence of the RSS as a formidable troop of fighters against the Emergency, the school proudly proclaims its dedication to provide to the young “education in religion, culture and nationalism”. Known by a different name across the country – Saraswati Shishu Mandir ­– in Assam, the RSS appears to have appropriated the name of the great 15th century Assamese poet-saint Sri Sankar Deva by naming its schools after him. By 1993-94, the number of schools run by Vidya Bharati all over India was 6,000. Today, in Assam alone it appears to have several hundred such schools. At a time when most government schools are crumbling in the face of inadequate budgets for the so-called Sarva Shiksha Abhiyan, with empty school rooms and idle teachers, the Vidya Bharati-run schools offer education of a reasonable quality with affordable fees for low-income groups in most places. Scores of private schools patronised by the upper and middle classes have switched to CBSE courses, and the state board examination is taken mostly by pupils of the remaining government schools, some Assamese-medium private schools and the Sankardev Shishu Niketan schools. Significantly, students from government schools like Cotton Collegiate School of Guwahati, once Assam’s top high school, have not found a place in the top 20 positions in the results of state board examination for several years. This year’s topper, Sarfaraz Hussain, the son of a humble tea-shop employee, was interviewed on television after the results. He came across as an intelligent and articulate teenager who paid due tribute to the acharyas (teachers) of his school. Asked to name the three most serious tasks before the new BJP-led government in Assam, Hussain mentioned the expulsion of undocumented Bangladeshi migrants as one of them. The proud members of the Sangh parivar could hardly contain their glee and claimed that the examination results had finally nailed the lie that the RSS was an anti-Muslim organisation. 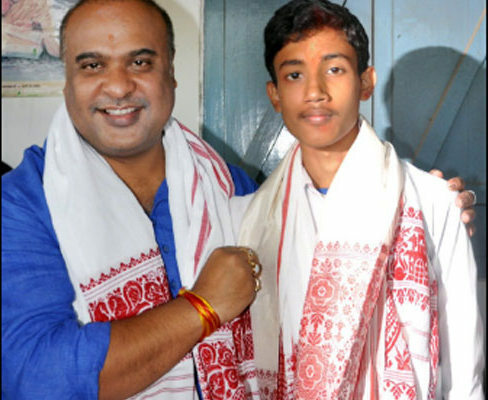 The same day, Himanta Biswa Sarma, state education minister and the most important person after chief minister Sarbananda Sonowal in the new BJP-led government, announced with the zeal of a Sangh neophyte that the schools guided by RSS ideals would soon spread to all 2,202 panchayats in Assam. It did not seem to bother him that the government could not directly finance or encourage a state-wide expansion of a chain of what are after all private schools. This is a disquieting sign of how Sangh zealots habitually overstep the limits of law in exercise of state power. The opposition, perhaps humbled by their disastrous collapse in the elections and over-awed by the fanfare of the RSS triumph in the HSLC examination as well, has kept mum about Sarma’s extraordinary, unconstitutional proclamation. On June 2, a talk show on a popular television channel raked up a year-old controversy in which I was vehemently attacked by RSS ideologues and sympathisers for stating in a speech that such schools inculcated Hindutva ideals and therefore had an anti-Muslim bias. At that time, I was able to silence the critics by producing as evidence a plaque in front of such a school firmly proclaiming adherence to Hindutva. The TV anchor arrayed half a dozen experts, mostly from the Sangh parivar, as witnesses to the triumph of truth against this contemptible purveyor of untruths. I was mentioned by name, an honour I normally do not merit in such elevated circles, except when there is an urgent need to run me down. The only snag with such an arrangement, loftily ignored by those triumphalists, was that my response was neither sought nor reproduced from past records. The anchor also remarked that wretched secular bigots like myself never associated Christian missionary schools, such as the Don Bosco school, with the spreading of Christianity but ‘cried wolf’ only in the case of RSS schools. But it is important to know that Christian missionary schools take care not to propagate Christian theology in the classroom. I mention this incident only as an example of the palpable bias among a section of the popular electronic media. Can the Sangh really claim that its secular credentials have been vindicated? I think not. Samudra Gupta Kashyap, one of the panelists on the talk show and a correspondent with the Indian Express, mentioned in an article that the pradhan acharya (headmaster) of the school where Hussain’s father had taken him to be admitted had asked if he was comfortable with his children chanting “various shlokas, including the Gayatri Mantra and Saraswati Vandana”. This is evidence enough of the firm and clear Hindutva orientation of such schools, although Kashyap had not the faintest idea of it. Nowadays, the RSS is ready to welcome some Muslims if they support the Hindutva agenda. This may not resonate with large numbers of Muslims who are by no means Islamist fanatics. So what is the RSS’s attitude towards those Muslims who do not support the Hindutva agenda? Ample evidence is available from around the country to answer that question. 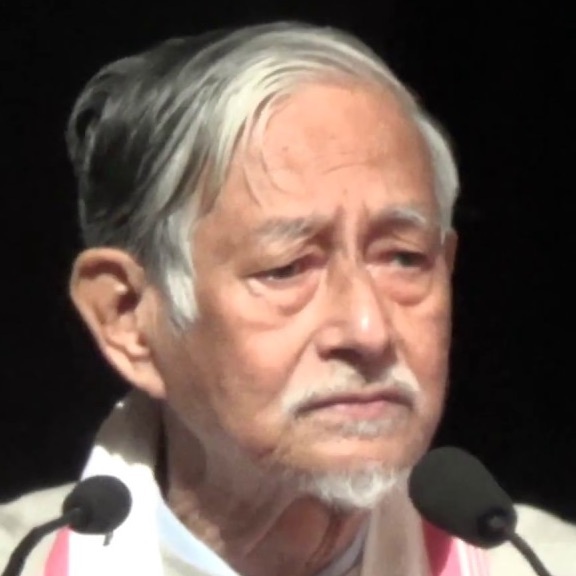 Hiren Gohain is a writer and scholar. He lives in Guwahati.